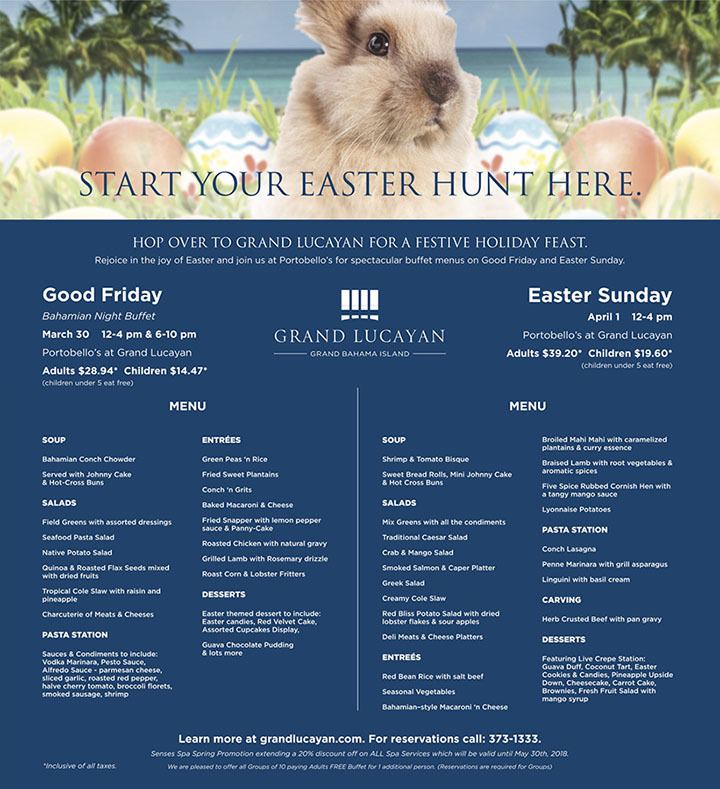 Hop over to Grand Lucayan for a Festive Holiday Feast. Learn more at grandlucayan.com. For reservations call: 373-1333. Senses Spa Spring Promotion extending a 20% discount off on ALL Spa Services which will be valid until May 30th, 2018.